This means Flash is dead because as of Jan 27, 2015, YouTube streams HTML5 video by default on all modern browsers, including Chrome, IE 11, Safari 8 and the beta versions of Firefox. YouTube has been supporting the HTML 5 video player since 2010, but until now it was just experimental. HTML5 allows YouTube to make more use of Google’s VP9 video codec. This allows videos to start 15 to 80 percent faster. It also reduces the average bandwidth needed for streaming video by 35 percent. These speed advantages will become vital when streaming 4K video is more common. HTML5 can allow a video interview that is talking about a very specific business or place to be clickable so you can go and bring up Google Maps and information for how to get there. Since mobile browsers have become such a large part of web traffic, this could help monetize the mobile experience. Here are some of the new tags in HTML5. Embed a non-streaming file that had to be completely downloaded before it could be played. Buy a third-party plugin like Flash and install it on your server. This may or may not work with all browsers. Use a dedicated media server which is more expensive and complicated to be helpful for most people. HTML5 to the rescue! Video can be streamed in a skinnable player without additional third-party software. It’s built into the browser. 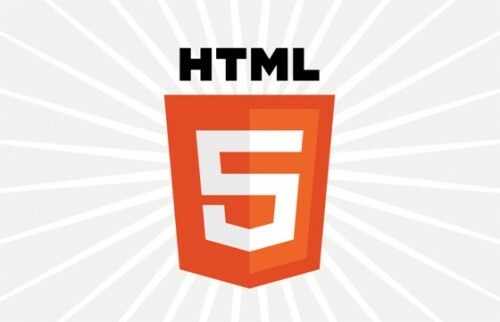 If you work with HTML at all, you may want to go through this free HTML5 Introduction from W3Schools.com. Currently, there are 3 supported video formats for the video element: MP4, WebM, and Ogg. MP4 is the only format that plays in all browsers without plug-ins. The HTML5 video player is built into browser. HTML 5 is a lot easier to learn than Flash, and at this point, there is no reason to learn Flash.